Captured screenshots of Rene Boucher’s Facebook page provided to Secrets and taken down since the event also show that the anesthesiologist was a fan of the #NeverTrump clan. Boucher’s lawyer said that politics played no part and it has been suggested that the two verbally tussled over lawn clippings, leaving the impression that the Republican Kentucky senator was a negligent landscaper. “The Pauls’ landscaping looks just like everyone’s place in Rivergreen. Wish I could get him to cut my lawn,” said neighbor Robert Warner. 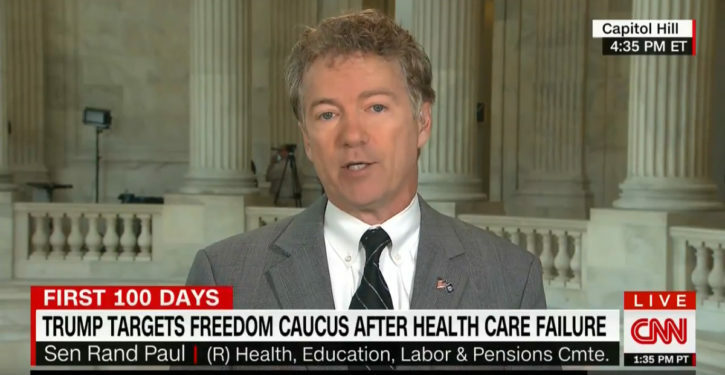 “As a friend, neighbor and senator, Rand has been first class in every way. What I find amazing is the fact that he cuts his own grass. Our neighborhood is fortunate that the Paul’s live here,” he added. San Diego City Council proclaims a day to honor which organization?